Left to right. Philip Hindes, Jason Kenny and Callum Skinner. 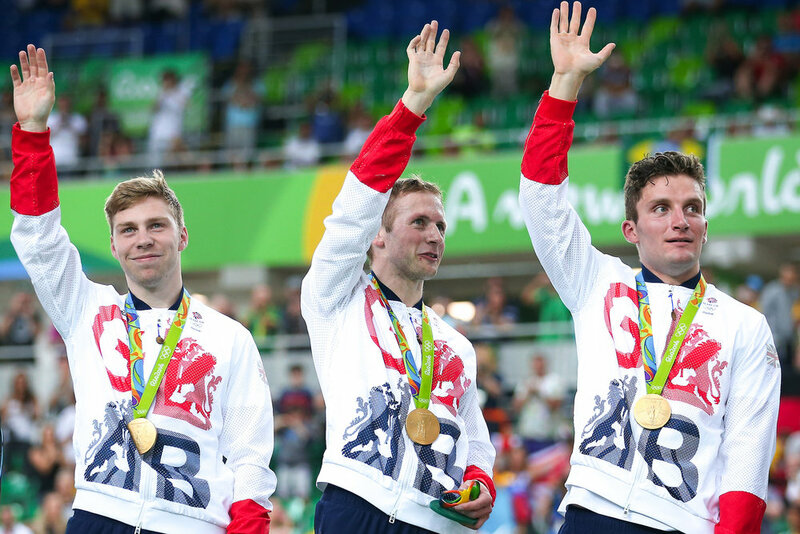 "Cycling has been very good to me” – Olympic Champion Callum Skinner steps away from the track. Today, I would like to announce I am calling time on my Elite Cycling career. It’s been a long and amazing journey, starting out in the cold of Meadowbank, Edinburgh in 2006 to peaking at the Olympic Velodrome in the Team Sprint at the Rio de Janeiro Olympic Games in 2016. Cycling has been very good to me, I’ve made lifelong friends and realised my dream for which I am eternally privileged. I appreciate that 26 might seem to many quite young to be transitioning away from the track, but I have never considered myself just an athlete; I consider myself far more than that. Cycling is my first love and it was the ideal place with the perfect opportunities to focus my drive to achieve great things. Now, on 7/3/19, I’m looking for a new challenge, my next Olympics. I want to build on the skills and perspective I’ve learnt and gained as a competitor over the last few years, and go on to greater things. As some of you will know, I’m particularly passionate about giving back to sport, using my profile for good, whether that’s in supporting the long overdue reform of sports governance, LGBT rights and encouraging people to get on their bikes. My last competition and podium place was at the Commonwealth Games in The Gold Coast in 2018; it was great to finish on a high. Since that time, I have been on an extended break due to my health deteriorating. This has proved to be a very challenging time. Through seeking help outside the programme, and by the unswerving support of my girlfriend, friends, family and agent, I have made incredible progress and I’m pleased to say have almost fully recovered. Overall, I have had an amazing time at British Cycling and would like to thank my current and former; coaches, performance support staff and team mates for an amazing and unforgettable ten years. I wish them every success going forward. Callum Skinner and his Mum, Judith Crichton.